We have been struggling on practicing English pronunciation and grammar for many years, feeling that learning English is a very honorable thing.In fact, many foreigners are the same with us because if someone can say Chinese fluently,he/she will be welcomed by others. 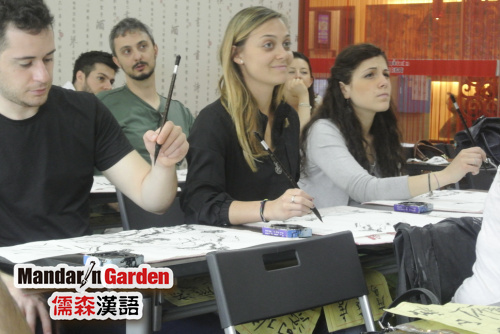 Many foreigners learning Chinese is not only want to learn Chinese language, but also they can fully experience Chinese culture. 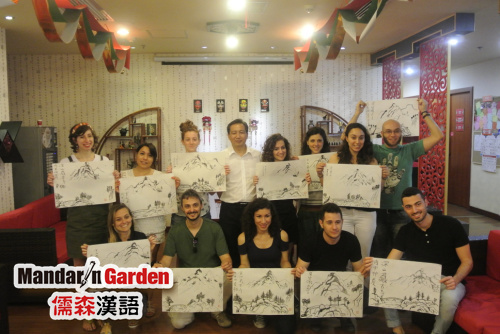 Many foreigners like calligraphy because they think writing earnestly and carefully is very interesting. Each foreigner here want to write his/her own name in calligraphy, and then take it back to their country as a souvenir. Every week, we will carry out such activity, this can add a bit of fun when helping them learn Chinese. The so-called learning needs combine work with rest. We often go to the place where gathers many foreigners when we learn English.There,we meet some new friends, so the learning environment is very important. 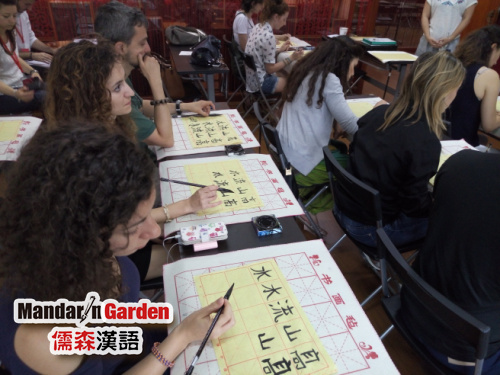 Calligraphy naturally has its own unique appeal that allows foreigners learn Chinese after school and quickly immersed in the Chinese culture atmosphere. Chinese is our mother tongue, teaching foreigners to learn Chinese not only gives us a chance to provide ourselves a opportunity to communicate, but also to be able to exchange our culture with them. This is also why many people love to be a Chinese teacher. Foreigners learning Chinese very hard. They write down on note carefully, and review the things they have learned today at home.So we can imagine the extent they love Chinese. Learning a language well is not easy, whether we learn English or foreigners learn Chinese. The environment is a very important factor. So when we learn Chinese,we also should know Chinese culture at the same time.